With the plentitude of allergens in the air we breathe, the things we touch and the food we eat, it comes as no surprise that allergies are the 6th leading cause of chronic illness in the United States. Though it can range from mild to severe in individuals, there is no cure for this condition, only the management of its symptoms by medications. 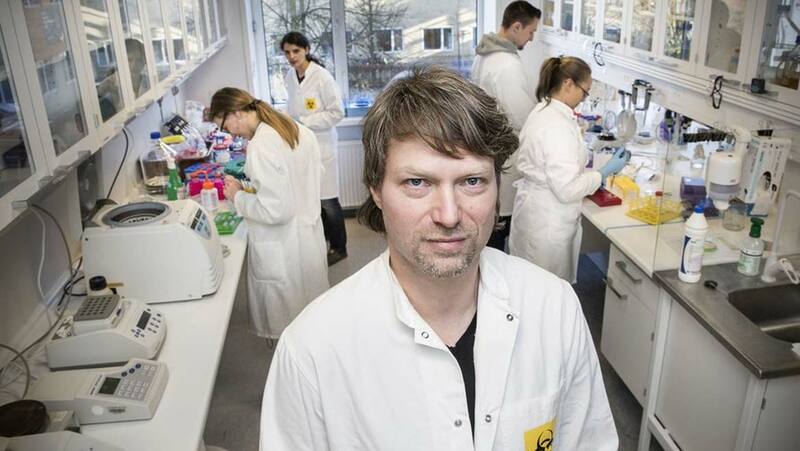 At Denmark’s Aarhus University, scientists from the Department of Engineering and Molecular Biology and Genetics, along with German researchers, have discovered a unique antibody-based treatment option that could help in combating allergies and asthma. The paper was published in Nature Communications. The immune system produces antibodies called immunoglobulin E (IgE), in response to foreign particles or allergens. These molecules travel in the blood until they trigger the histamine-producing cells in the connective tissue. This essentially creates an allergic reaction that shows as symptoms, including a runny nose, hives and itchy skin. Every individual possesses specific types of IgE antibodies that makes them allergic to certain allergens. This is why some people cannot tolerate the presence of pollen in the air, while others can. Although the exact reason for this selectivity is unknown, it has been proven that family history could play a role. While trying to study and improve upon the treatment for allergies, the team of Danish and German investigators identified a specific antibody that could tackle the process of allergic reactions. Specifically, they determined its function as one that interferes with IgE binding to its two receptors, FcεRI and CD23, thus, not allowing the allergen molecules to bind. Apart from this, the antibody also eliminates the IgE on immune cells and once that happens, even if the body continues to generate more IgE molecules, no allergic reactions can be triggered. An ex vivo experiment was conducted where patients allergic to birch pollen and insect venom were tested. It was seen that this antibody ‘anti-IgE’ was able inhibit the complex interaction between the allergens and immune cells. The newly discovered immunoglobulin is a single-domain antibody — a fragment of the whole antibody but possessing all its properties — is said to be extremely stable and easily administrable. But clinical trials need to validate its safety for humans before it can be released in the market as a medication option.